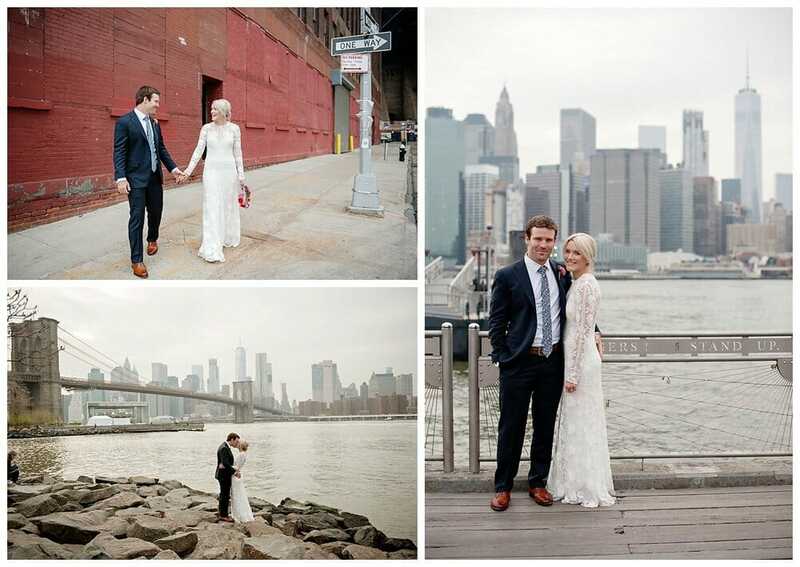 Reverend Love officiated this gorgeous couples’ Brooklyn Bridge Park elopement. The day ended up being a little overcast, but sometimes there’s no better way to get that NYC vibe just right. 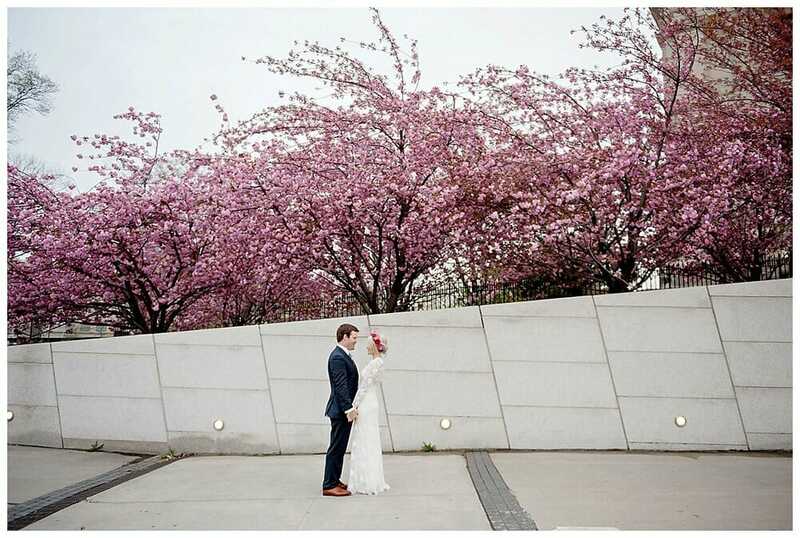 The two shared their vows right in the midst of New York’s cherry blossom season. The flowers added an extra touch to an already lovely day. Talk about luck (or some really good planning!). A portrait session around the city followed the ceremony. These two rolled with it as we took them to all the best photo spots. Their unique style fit NYC’s creative and artistic side perfectly. We loved their classy choice in suit and gown coupled with little bursts of flair and personality. 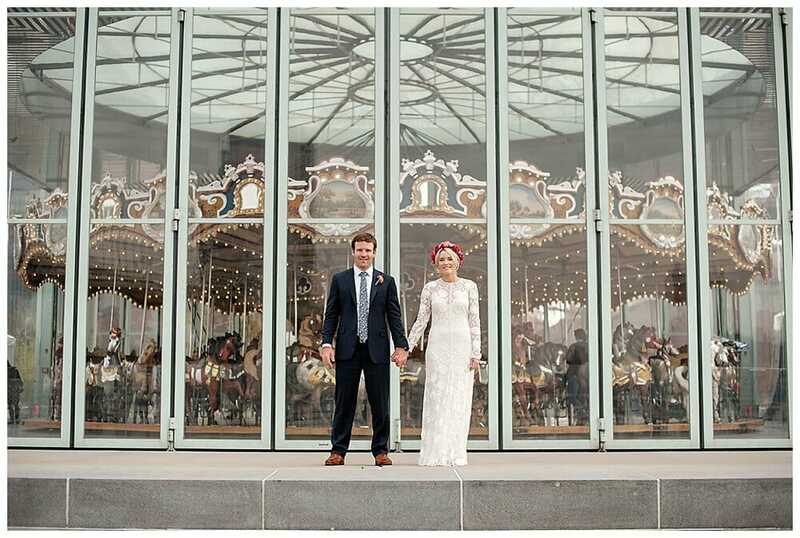 Jonica crushed it with these gorgeous photos! 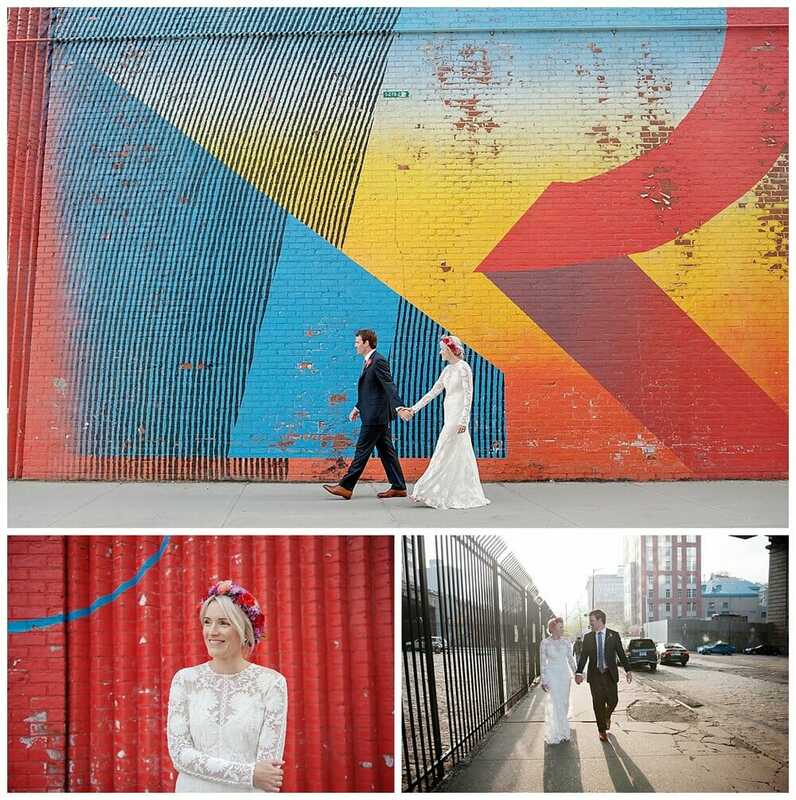 Take a look at this couples’ ceremony and post-vow stroll through the city. They made their way from the rocky shores of the East River to some of the most unique street art in NYC – all smiles along the way!